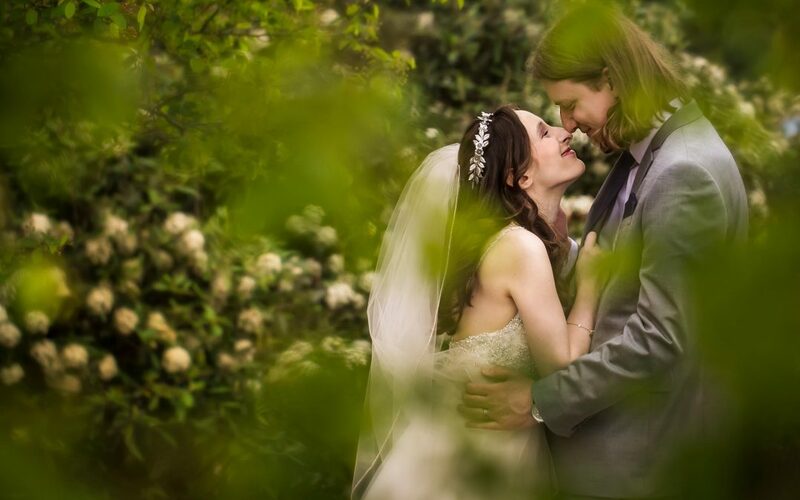 Shaina and Tyler’s wedding was an enchanting fairytale celebration of their love surrounding friends, family, and with a hint of Lord of the Rings nerd inspiration (we mean that in a cool way!). Penn State’s Arboretum was the perfect place to capture this elegant garden party with it’s charm in Spring flowers, outdoor appeal, and beautiful backdrop scenery. It was quite a busy Saturday with prom upon us, but thankfully the Arboretum had reserved an area where the ceremony could be given privacy. I, of course, decided to wear new shoes that day, which wasn’t my wisest choice (shoes came off!). However, I was able to move around with ninja like stealth and ability from which my shoes would have given away my every move. It was quite freeing actually. Nevertheless, I’ll be back to shoes from now on, but thankfully it didn’t hinder my ability or distract Joel from capturing the adorable cuteness of Shaina and Tyler together.